Eryn Blair of Middle River enjoyed a sweet treat this week when she traveled to Maryland Lottery headquarters. 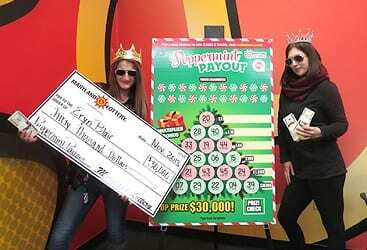 The 29-year-old claimed a $30,000 prize she won playing the $3 holiday scratch-off game Peppermint Payout. 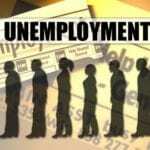 Blair said she’s been going through some rough times recently and sees this big win as a change in fortune. An impulse buy led to her big payout. She walked into Eastern Liquors in Middle River for cigarettes and, while there, decided to purchase two Peppermint Payout scratch-offs to play at home later. When Eryn discovered her big win, she was standing on her front porch. The Baltimore County resident let out a huge yelp, which prompted her longtime best friend Christina Mayne to run downstairs to see what was going on. “I think I just won!” Eryn told Christina. They took the scratch-off back to the store to verify the win and the store clerk confirmed her good fortune. The duo then rushed to Maryland Lottery headquarters to claim the $30,000 top prize. This is Eryn’s largest scratch-off win to date. She plans to put her prize toward a new home and helping Christina. Eastern Liquors located 22 Kingston Road will also celebrate, having earned a $300 retailer bonus from the Lottery for selling a top-prize winning scratch-off in the game.